STEP 1: What do you need to know? A: Understand what's out there. The very first thing you should do when you begin your swimming pool project is learn about the three different types of pools. 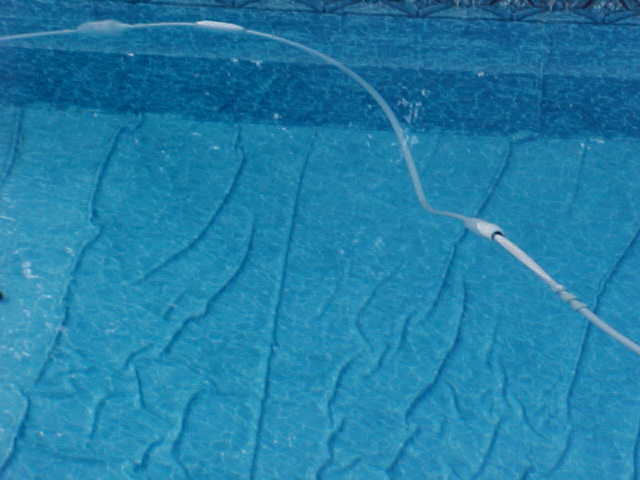 These pools are typically found in commercial settings or very custom type residential pools. The main attribute is that you can do anything with a concrete pool. If you can dream it...it can likely be built. The down side is that all that flexibility is going to cost you. Not only in the upfront cost of construction but also in the maintenance costs. 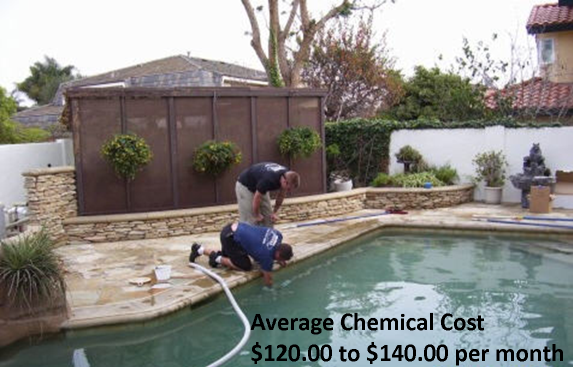 Resurfacing, acid washing, painting, and numerous chemicals to balance the water chemistry can really add up. Cost less to install. Cost the MOST to own. Up until the last 5 or 10 years vinyl pools were the most popular pool for the residential customer due to the low upfront installation cost. They may not be the nicest to look at, but they can be cheap to install. The down side is that they are fragile and, actually, cost the most to own. If your water chemistry is not in balance the liner can fade or worse, be severely damaged and fail. If ground water sets under the pool it can lift, float, or ’walk’ the liner putting winkles in it or ruin it altogether. (See pictures to left) Loose a chair in the pool or maybe find the dog taking a swim? 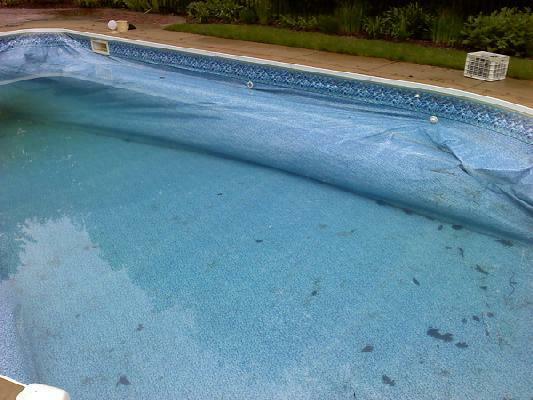 You may very well be fixing or replacing the liner. 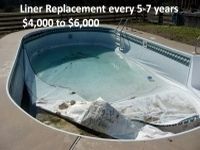 Even if all of the luck in the world is on your side, you will still be looking at replacement liners every 5-7 years and spend anywhere from $5,000 to $7,000. Chemical usage is another expense. 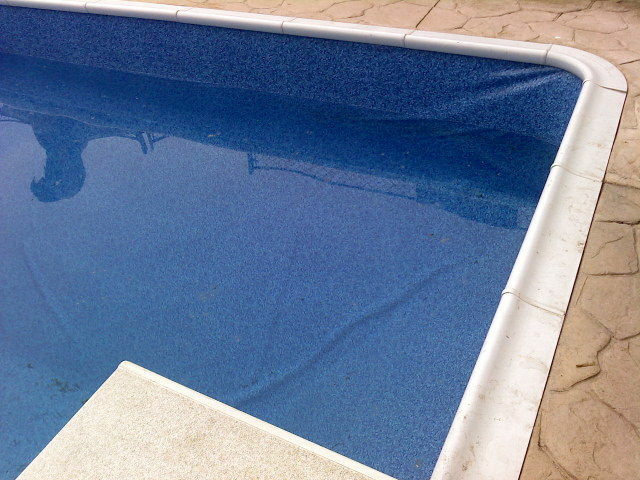 Vinyl liners use a lot more sanitizer (typically chlorine) to keep them clean. The reason for this is the liner is porous and can harbor (especially in the seams) algae. Built-in steps. 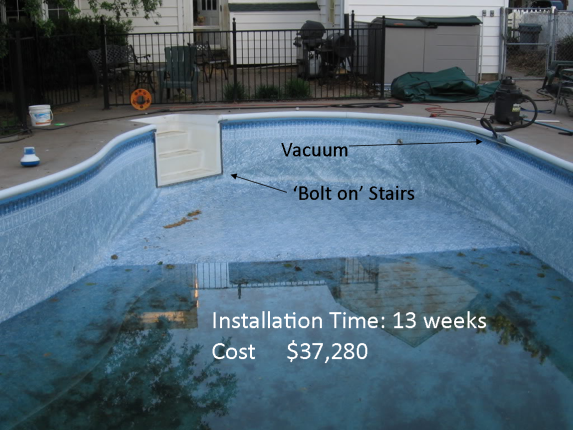 Most liner pools have steps and ladders ADDED to the pool. Perhaps even a wedding cake step (see below). There are some liner installers that claim to have built in stairs but it’s a bit of a trick. They are doing one of two things. Either installing a bolt on (same as a step kit) stair / seat combo (pictured right) or they will install a liner overtop of a stair structure. This can accomplish the ‘stair entry’ BUT IS HEAVILY dependent on the installer’s diligence. It takes a lot of seams and is a failure point. 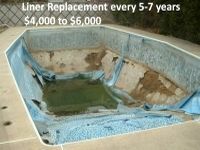 If the liner shifts or stretches it will be an ugly spot and expensive to repair or replace. That’s A LOT of trust to put into seams. 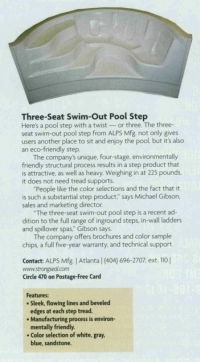 Quickly becoming the preferred residential choice for inground pools. The main benefit is its low maintenance and ownership cost. Once it’s in, there is nothing to do but test your water. The downside is fiberglass can cost more than vinyl to put in and is not as flexible in terms of design. The pools are made on molds and can’t be customized. For most people however there is a fiberglass pool model that will fit perfectly in their space so typically this is not a problem. B: SEE what the differences for are yourself. 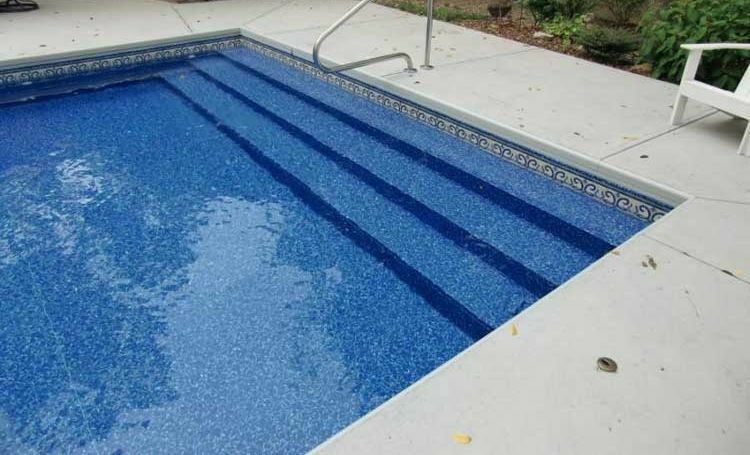 Concrete: Besides needing A LOT of chemicals to stay balanced, (and cracking) a concrete pool needs two major renovations. 1) Acidwash and painting. 2) Resurfacing. 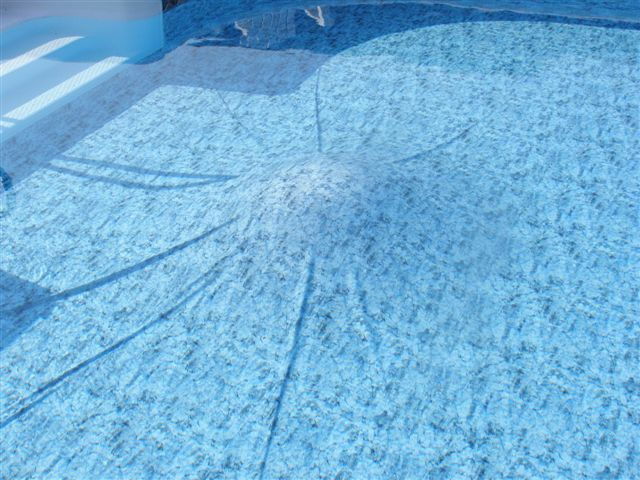 Vinyl: Though the cheapest pool to install, a vinyl pool is the most expensive to maintain and can easily be damaged by bad chemistry or shocking without much trouble. As they say its not a question of IF it’s going to need a liner but a matter of WHEN it will need a liner replaced. 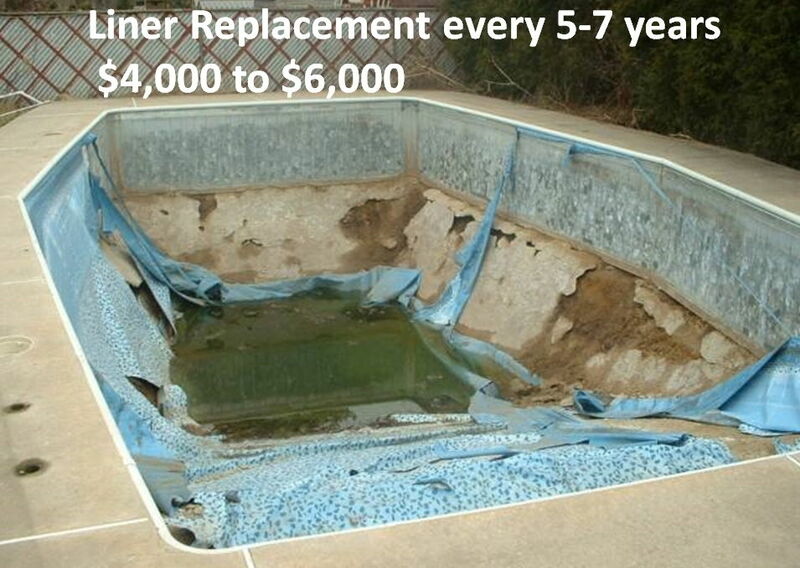 C: Hear from customers that have had other pools! Click here to see other testimonials. 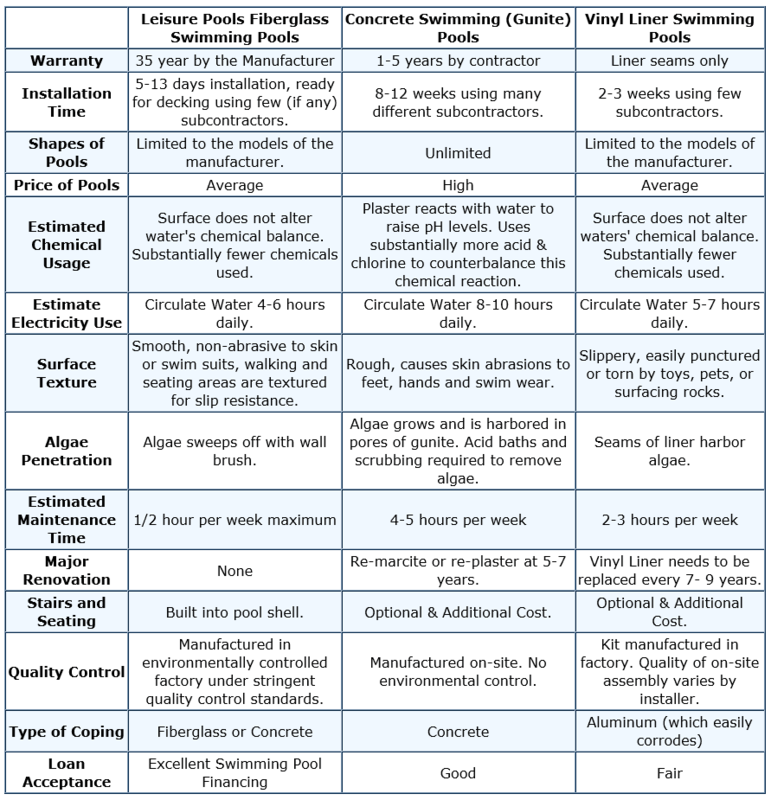 Continue your fiberglass pool project planning with STEP 2: Buying A Fiberglass Pool - Understanding Features and Designs. 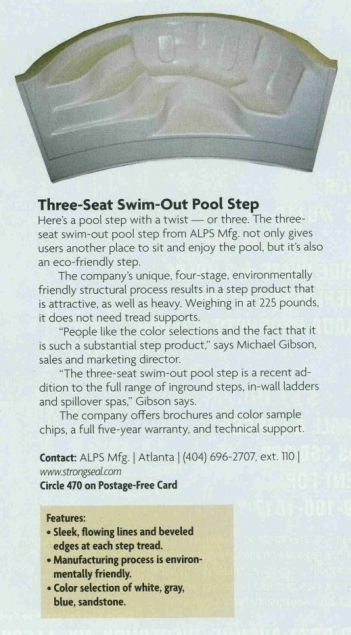 Or, skip to STEP 3: Buying A Fiberglass Pool - Establish A Budget. Use the form below to request a reference list via email!